One of the (fabulous) perks of being a food blogger is that from time to time you get offers for free products to review. I NEVER turn these down… especially when they are something yummy comprised mostly of sugar! A month or so ago, I got one such email from a confectionery boutique in New Orleans called Sucré Sweet Boutiques and Confection Studio. Founded by Chef/Restaurateur/Entrepreneur Joel Dondis and pastry Chef Tariq Hanna in 2007, Sucré has quickly become a cherished local landmark in a city with a rich culinary history. 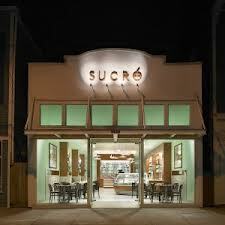 Sucré offers guests a variety of confectionary delights, all made in their New Orleans based confection studio. From French macaroons to salted caramel cupcakes to petit red velvet cakes – each offering is confectionary perfection. Gelato is homemade using first-cut Louisiana cane sugar, milk from local dairies and the finest ingredients. Artisan chocolates are made celebrating local flavors such as the Blangé – a white chocolate ganache with banana and rum enrobed in white gourmet chocolate or the Meuniére – brown butter folded into white chocolate ganache enrobed in dark chocolate or the Chicory – New Orleans’ favorite coffee folded into a dark chocolate ganache enrobed in dark chocolate. Hot drinking chocolate features homemademarshmallows flavored with Tahitian vanilla. Visitors to Sucré can stay to enjoy dessert or they can take home their own chocolate gifts. So when their marketing and PR person offered to send me some samples to taste and write about, I obviously jumped at the opportunity. A week or so later, a package of goodies arrived and I was VERY excited to find a box of their Sucré Signature Chocolate Collection (15 Pieces for $30) AND their Sucré King Cake (Serves 8 for $20). 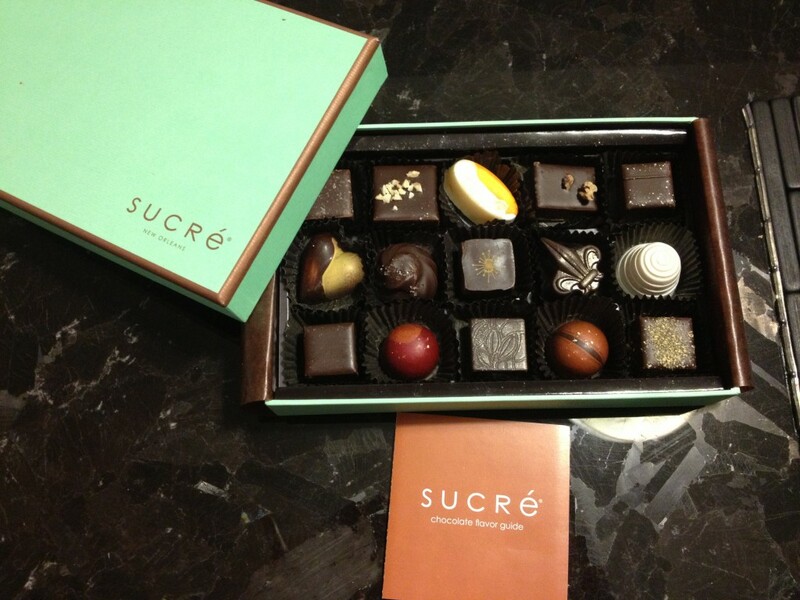 The Sucré Signature Chocolate Collection comes with 15 pieces of deliciousness. 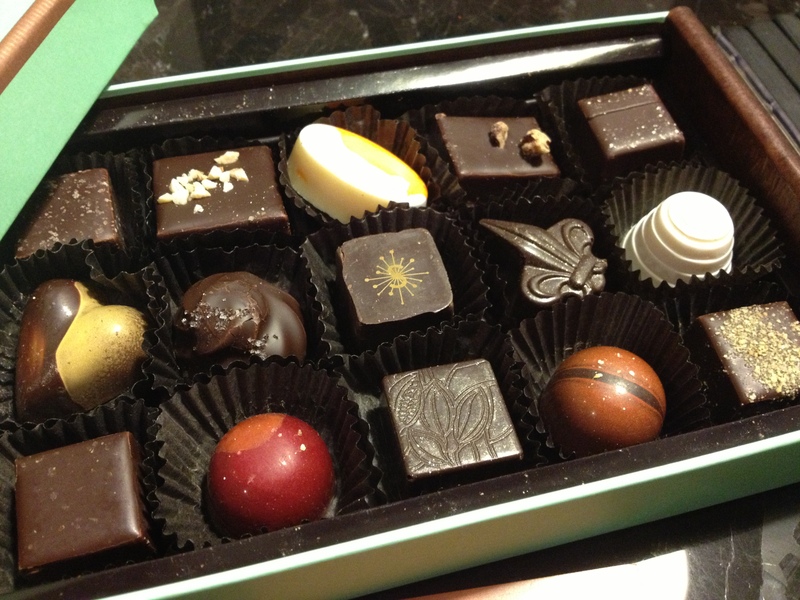 NO JOKE… these may have been the BEST chocolates I have EVER tasted. And no, I’m not just saying that because they sent me free samples. They are some seriously good shizzle! A few of my favorites were the blange — white chocolate ganache blended with banana and rum encased in white chocolate, the meuniere (shaped like a traditional fleur de lis) — brown butter folded into white chocolate ganache, encased in dark chocolate and the malted milk — milk chocolate ganache and malted cream encased in milk chocolate. But seriously? Each was as good as the next… decadent, rich, creamy and delicious. The King Cake was scrumptious too and was my first King Cake ever… arriving just in time for us to have a mini Mardi Gras celebration at home! 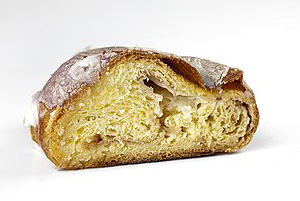 The “king cake” takes its name from the biblical three kings. In Catholic liturgical tradition, the Solemnity of Epiphany – commemorated on January 6th – celebrates the visit of the Magi to the Christ Child. The Eve of Epiphany (the night of January 5th) is popularly known as Twelfth Night (the Twelve Days of Christmas are counted from Christmas Eve until this night). The season for king cake extends from the end of the Twelve Days of Christmas (Twelfth Night and Epiphany Day), up until Mardi Gras, or “Fat Tuesday;” the day before the start of Lent. 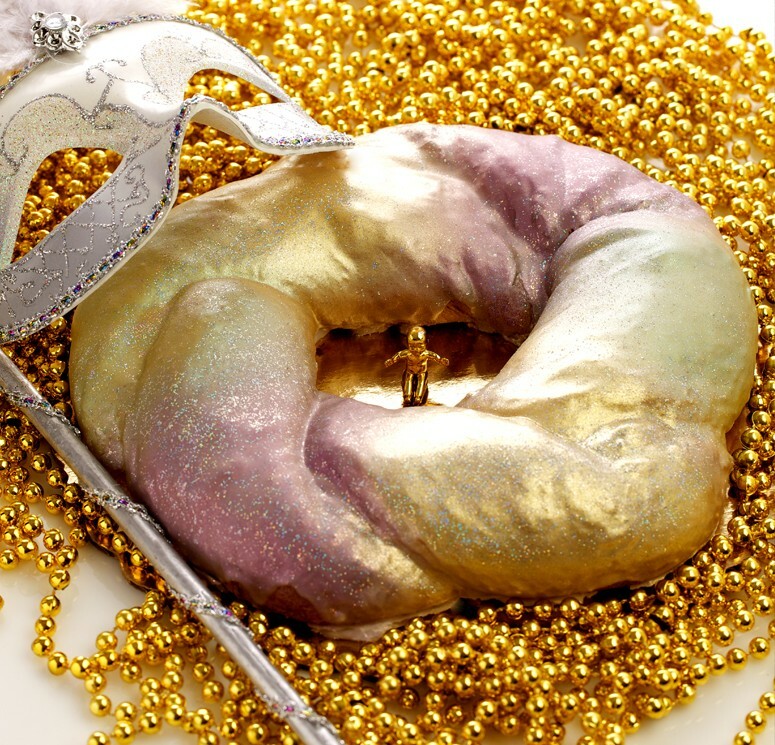 Some organizations or groups of friends may have “king cake parties” every week through the Carnival season. In Portugal, whoever gets the King cake trinket is expected to buy the next cake for these get-togethers. Since it was the first I’ve ever had, I really didn’t have anything to compare it to. According to their website, it was voted “A Favorite” By The Times Picayune 2012 King Cake Contest and 2011 “BEST” King Cake by a Washington Post blind taste test, Sucre’s signature buttery danish pastry is sweetened by cinnamon and raw cane sugar then folded with a light layer of creole cream cheese. The cake came in a box, with a few strands of Mardi Gras beads and a little plastic baby (the “trinket”). The baby gets inserted into the cake before you eat it. There were directions that suggested we warm the cake in the microwave for a bit, which we did. It was delicate, airy and the cheese filling was light and not overpowering. I would have liked even MORE cheese in there… but I *am* a cheese freak. I would have also liked directions on how to store the cake… I wasn’t sure what the shelf life was (at room temp vs. fridge vs. freezer), so I stuck it in the freezer until we were ready to eat it. Overall, I was EXTREMELY pleased with the products we sampled. So much that I am chomping at the bit for an opportunity to order more things from them! Thankfully, they offer loads of Easter goodies, including gift baskets, hand-made seasonal marshmallows, chocolate eggs and bunnies, beautiful pastel macaroons and combination gift boxes that have all of these things. 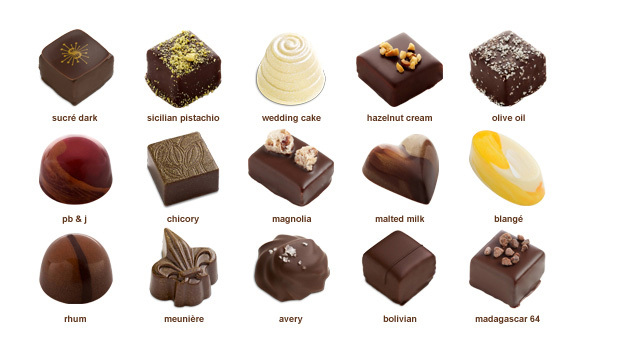 I will DEFINITELY be getting more of the chocolates… they are a divine gift for anyone and I’m dying to sink my teeth into some of those macaroons (you can get a signature sample collection — Carrot Cake, Chocolate, Salted Caramel, Almond, Pistachio, Strawberry, Hazelnut, and Bananas Foster — for $19)!